With technology constantly evolving, we now have access to the best of the best on the market when it comes to how you want to enjoy your music. Choosing is the hardest part. You’ve seen all the different music buffs walking down the street– the Beats savant, wireless junkie, earbud connoisseur, and even the Walkman-era headphone wearing hipster. It can be difficult to assess your individual vibe if you’re not sure how much you want to spend, which is best for the type of music you listen to, or if you’re constantly on the go. Perhaps, you don’t want to carry around heavy headphones or you’re prone to losing earphones, fear not, there are plenty of options. If you’re walking around NYC, most likely you’ll see a multitude of men with Airpods in their ears, either talking on the phone (yes, it looks like they are talking to themselves in the absence of a cord) or strutting down the sidewalk. It’s not only for comfort and efficiency, New Yorkers’ best friends, but it’s a look. If you want to be one of those people, and you’re an ace at keeping your small accessories on hand, they’ll run you $159 through Apple. Bluetooth headphones are becoming the new normal, mostly having to do with the fact that Apple is removing the headphone jack from their new models of the iPhone. Bluetooth can be more convenient though, and even more affordable than some standard headphones. In fact, more headphones are being made wireless nowadays for their convenience factor. Bose makes a sports version with great sound and a secure fit. They cost $149 through Amazon. Beats have improved their sound, their look and their efficiency by going wireless. While Beats Studio3 will give a serious music buff the sound they want to hear if they are making music professionally or just an avid consumer, they are also priced accordingly. If you aren’t willing to spend $350 to up your listening game, then Beats are not for you. 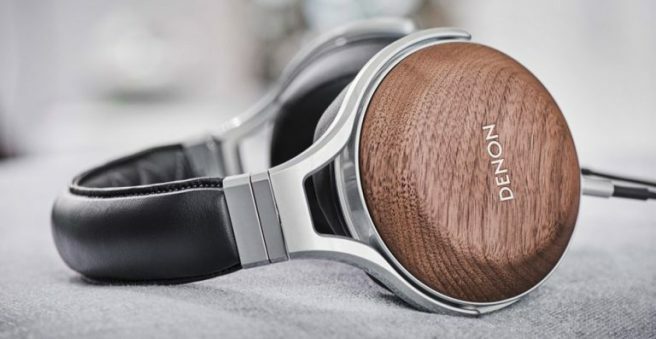 A trend in tech that is hitting its stride both in the luxury and affordable tech market are noise-canceling headphones. One of the OGs of sound, Sony, makes a pair that cancels the noise around you, allowing you to focus on what’s going on in your ears. The Sony WH-1000XM2 have a solid battery life, fluid sound and won’t completely break the bank if you’re looking for a pair that will give you all the things. They go for $298 on Amazon. A more affordable noise-canceling pair, also wireless, are the BÖHM B66, which you can purchase through Amazon for only $79.95. Does it make a little more sense now? For a comprehensive look at headphones and their reviews, check out Lightning Cans, which reviews all things headphones and their accessories. Don’t impulse buy when it comes to headphones, you want your music experience to be as beautiful and simple as possible, without shelling out an arm and a leg to do it (unless of course, you want to).